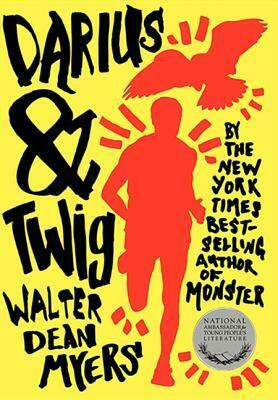 New York Times bestselling author and current National Ambassador for Young People’s Literature Walter Dean Myers was asked to write a novel about friendship by his fans. Here it is. Darius is a writer struggling to find his own way, with only his alter ego, Fury, a peregrine falcon, and Twig, his best friend, in his corner. Twig, a middle-distance runner, has the skills to make it but wants to dictate his own terms for success. He may be a winner on the track, but it doesn’t stop him from getting picked on. For these friends, money is tight; there are bullies and absent adults and, most disturbing, the notion that their Harlem life doesn’t have much to offer. They need to navigate their world: the thugs, the seamy side of sports, the uncertainty of their prospects. And they need to figure out how to grow up together, but apart.